Climbing Adam’s Peak, the fourth highest mountain on the island, is an activity all on its own. In season, the way is lit up all night and hordes of Buddhist followers and monks will be climbing with you to reach the top before sunrise where a beautiful ceremony is performed and you can see the strange pyramid shadow of the mountain where the Buddha was said to have laid his foot. 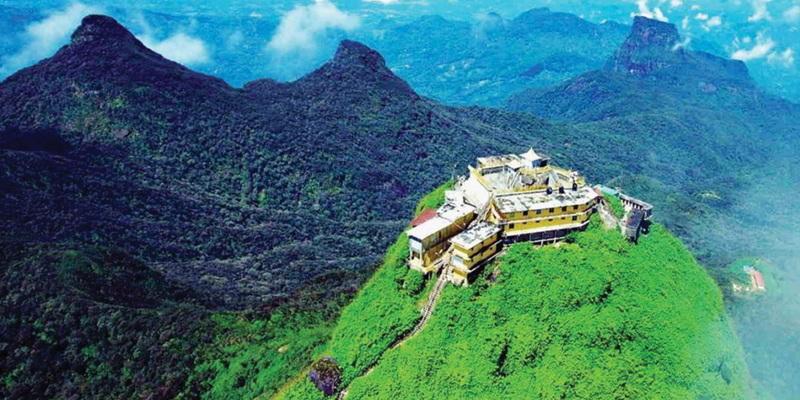 Adam’s Peak is without doubt Sri Lanka’s holiest pilgrimage site!